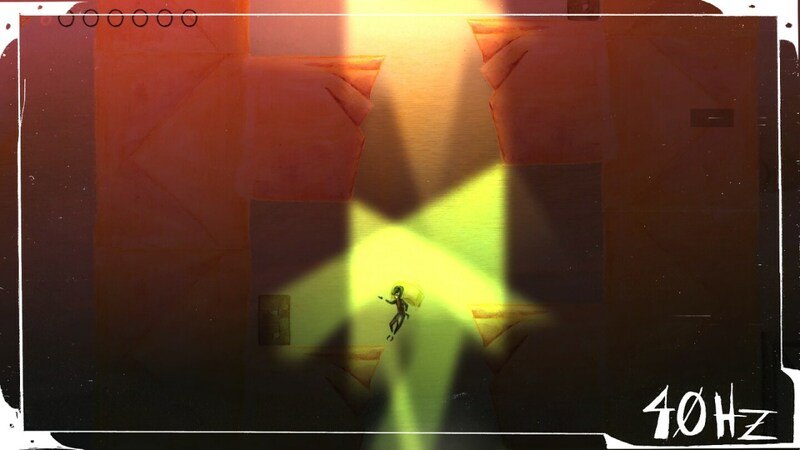 This time the spotlight will be shining on 40Hz, a surreal and stylish looking puzzle platformer. So, what say we help it escape the cold emptiness of Greenlight limbo? Ikara and Geko must tag-team their way through the Hertz on a journey to free the Residuals from the Analysts. Hand-painted watercolor visuals bring the surreal to life in this adventure-fantasy platformer that will stimulate you at 40Hz, where lucid dreaming lives and robot brains become aware. Doesn’t get much more surreal than that. Something something brain waves, right? Right. So platforming… inside brain waves. Can ya tell I’m having a hard time describing it? Well, even after playing the beta, I’m quite frankly still not sure as to what the heck is going on. Aside from that, 40Hz does look great and it certainly seems to be an interesting genre entry. We’ll see how it holds up come launch. So riddle me this, dear reader: why is 40Hz still struggling to get through Greenlight? It – or rather, the beta – has been out for a while. How about visiting its Greenlight page and handing over a ‘yes’ if you like what you see? Remember: your vote matters!